Paris is a city full of culture and history. Food and wine play an important role in Parisian daily life, thus there is a lot to discover also from a gastronomic viewpoint. Let's look at 10 Things you can do whilst you are visitng the city. 1) Visit Montmatre and enjoy the whole view of Paris. Check out the only remaining vineyard of Paris: "Clos Montmatre". It dates back to 1932 and includes 27 grape varieties, including Gamay and Sauvignon. 2) Eat Local food at the food market "Le Marche' Des Enfants Rouge". At "Le Coin Bio" you will find organic products and you can sit inside. 3) Want some macarons? Go to Damyel Paris in in the Marais. There is a wide variety of flavours and the quality is excellent. 4) Have breakfast at Cafe St-Regis, near the Notre Dame Cathedral. Get the Formule Coupe De Couer, which includes bread, croissant, egg, coffee and juice. 5) Try jewish pastries, like the "Cigar Libannais" at the bakery Korcarz, in the Jewish area. 6) Sample Korean food at restaurant Bekseju Village, near Place D'Italie. 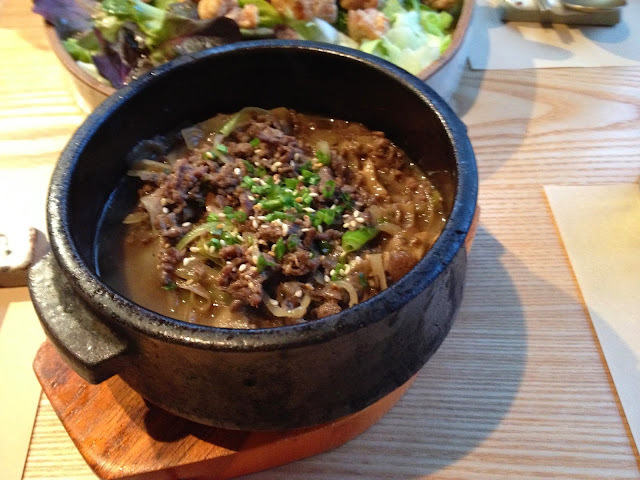 Bulgogi and fried chicken are must-try. 7) Need a break during the trip? Have a Parisian hot chocolate (with whipped cream, of course) at Café Des Concerts. 8) Buy some wines to bring back home at "Le Repair De Bacchus", a chain of wine shops in Paris. 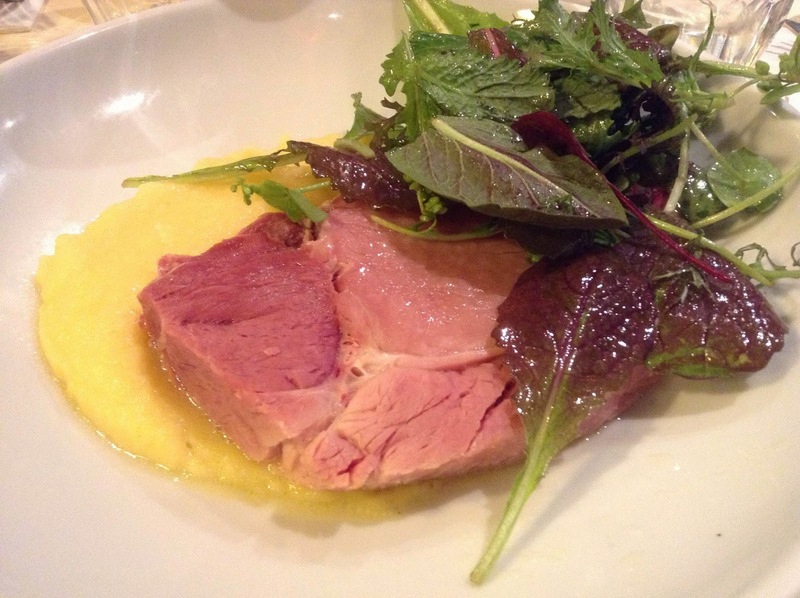 9) Have dinner at Le Verre Vole' near Canal Saint Martin. Get the cooked ham and the cheese platter. You can choose among a variety of natural wines to drink or take away. 10) Have a crepe bretonne at Alizée Creperie. You'll find organic crepes, both salty and sweet. One of the best is with jamon serrano!! 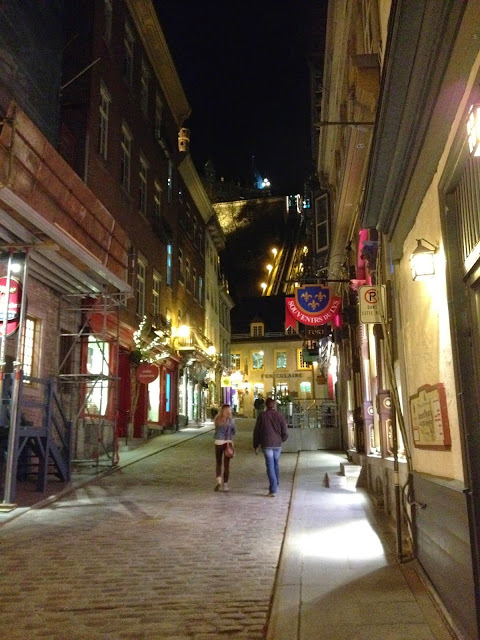 Quebec City is a mixture between European and North American culture. Situated along the Saint Lawrence River, it is one of the oldest settlements in North America and dates back to 1608, when the French navigator Samuel De Champlain founded it. Old Quebec feels like being in a charming little French town. Quebec City is a very popular tourist destination, especially during the summer period. Old Quebec is divided between the Upper Town and Lower Town. The Historic District of Old Quebec was declared UNESCO World Heritage in 1995 and is characterized by the presence of fortified city walls. One of the most famous monuments of the city is the Chateau Frontenac, an old hotel that dominates the Upper Town. 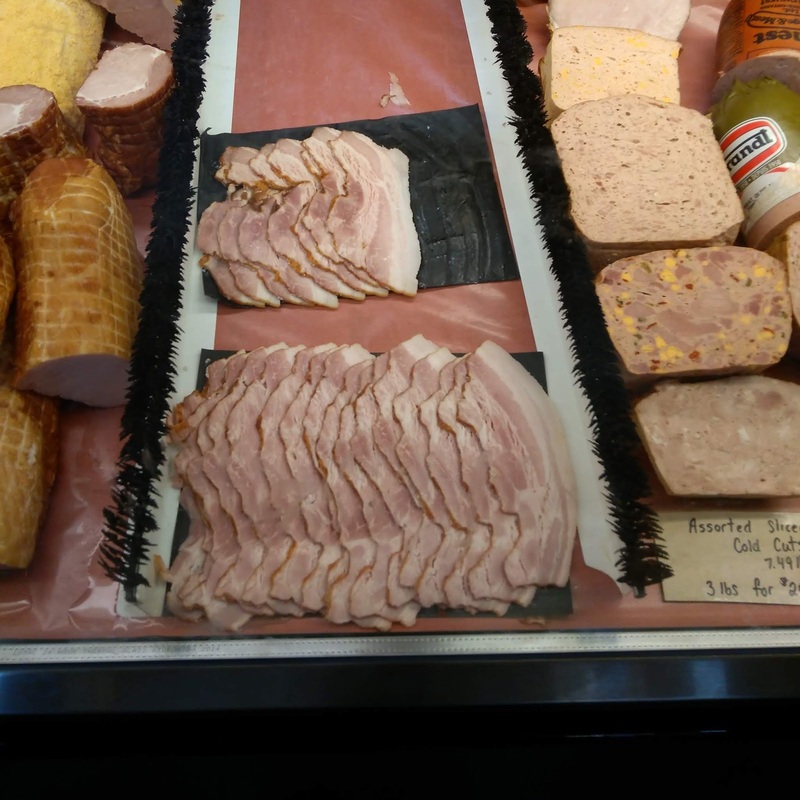 One can find exceptional local food in Quebec. 1) To start off, I highly recommend the restaurant “Cochon Dingue”, located in Lower Town, if you are craving for seafood. It offers many local dishes. I tried the tasty “Lobster Roll”, a fresh lobster sandwich, served with salad, French fries and mayo. The “Cochon Bourgeois” is a good choice for meat lovers. It is a pork burger, served with salad and French fries. The restaurant offers also a few Quebec wines, including the red “William”, if you want to drink local. In Quebec City, you can also find many restaurant chains. In particular, I went for dinner to “L’entrecote Saint Jean”, which does not have much to offer besides steaks. 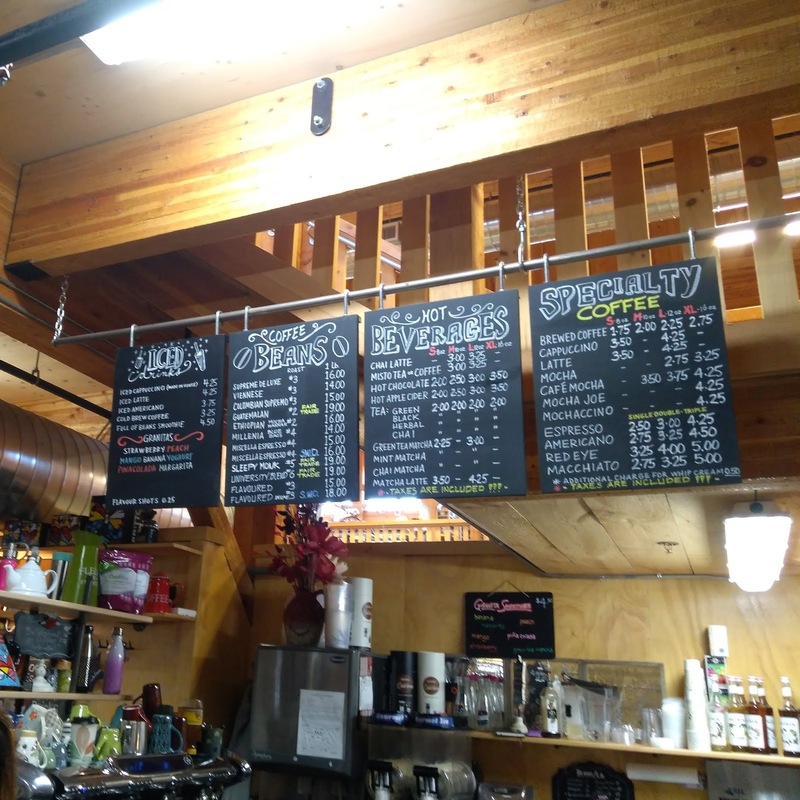 The service is poor, prices are expensive and the place is usually very crowded. In fact, I could not even hear what my sister was telling me at the table. So, I suggest avoiding eating at this place. 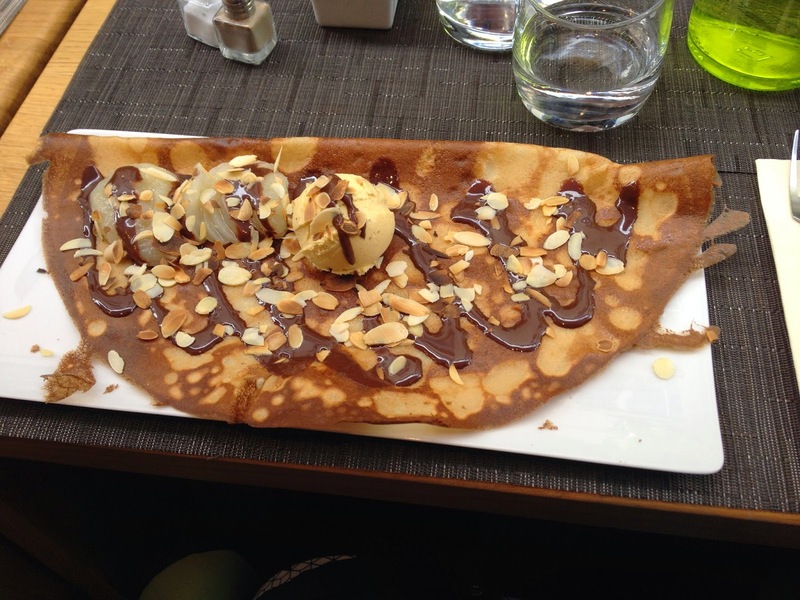 2) For lunch, try the “Casse Crepe Breton”, where you will find delicious crepes of all kinds at a reasonable price. 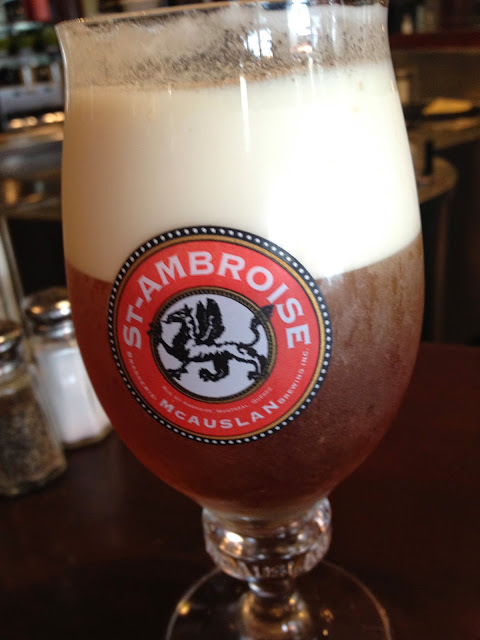 For drinks, they also have Quebec beers, including the Saint Ambroise Cream Ale, made by the MacAuslan brewery. The waiters are friendly and the service is quick. 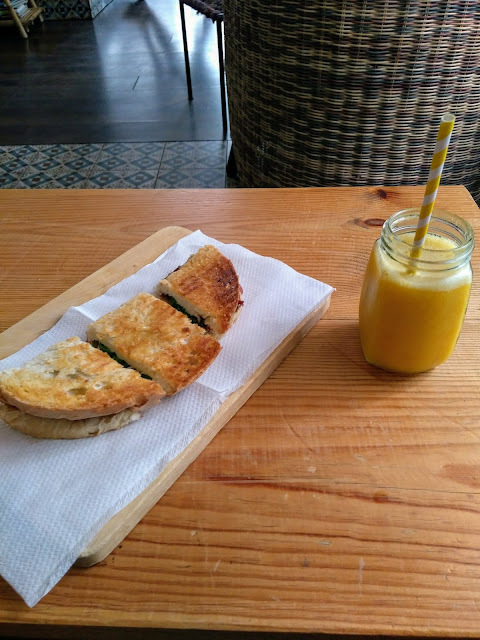 So, this is the ideal place for a quick meal. 3) Before leaving Quebec City, you should visit the city’s farmers' market: the famous Marché du Vieux-Port de Quebec, where you will find a wide variety of local foods and drinks. For example, there is a stand where they sell maple syrup and local vegetables like fiddleheads, while another stand has a great selection of ice cider. 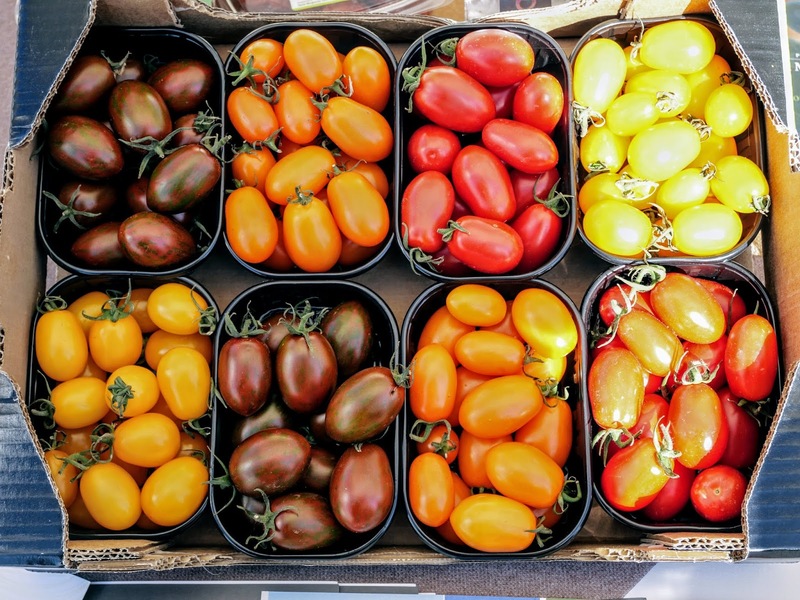 This farmers' market has a great selection of Quebec products, so it is a must for anyone interested in local gastronomy! Pizza is one of the most popular dishes in the world and comes in many forms. For example, one could find pizza with pineapple, French fries, würstel or bacon. The globalization of pizza has caused a homogenization and standardization of the production process, which has changed a lot during the last few decades. The industrialization of pizza has also led to the loss of knowledge about traditional pizza making. Therefore, there is the urgent need to safeguard the technique and skills of the Pizzaiuolo internationally. In this regard, the intervention of UNESCO is fundamental to preserve this ancient tradition. THE ORIGIN OF THE TERM "PIZZA"
The origin of the term “pizza” is debateable. It may derive from the Greek word “plax”, indicating a flat or flattened surface. Some scholars argue that it derives from the Latin verb “pinsere”, meaning to crush or grind. Indeed, during Roman times, the bakers were called Pistores ("Pasta and Pizza", La Cecla, 2007). Modern pizza, which featured tomatoes, was born in Naples in the 18th century and, at that time, there were two main types of pizza: Margherita and Marinara. The former is made mozzarella, basil and tomatoes; the latter with garlic, oregano and tomatoes. Pizza used to be eaten by poor people on the streets during weekdays. At that time, it was not well seen by the middle classes and by those coming from outside of Naples ("Pizza: A Global History". Helstoski, 2008). The Tuscan writer Carlo Collodi, famous for his book The Adventures of Pinocchio, described pizza in the following way: “The blackened aspect of the toasted crust, the whitish sheen of garlic and anchovy, the greenish yellow tint of the oil and fried herbs, and the bits of red from the tomato here and there give pizza the appearance of complicated filth that matches the dirt of the vendor” (cited in Helstoski). In 1831, Samuel Morse, the inventor of the telegraph, defined pizza as“a species of most nauseating cake covered over with slices of pomodoro or tomatoes, and sprinkled with little fish and black pepper and I know not what ingredients” (cited in Helstoski). In fact, in its infancy, pizza was a sort of popular “fast-food”. This is confirmed by the fact that in Naples there was the “pizza a otto” customary system, which allowed people who could not afford to pay for pizza immediately to reimburse the merchant eight days later. The first pizza kitchens were created between the late 17th and early 18th century in Naples. They were places were “the dough was worked and cooked and passers-by could buy a pizza” (La Cecla). One of the first pizzerias was “Zi Ciccio”, which dates back to 1727. Other famous historic pizzerias of Naples include Capasso, Port’Alba, Da Pietro, Ntuono, Da Michele and Sorbillo. The origins of the “Pizza Marinara”, on the other hand, are humble. According to legend, hungry Neapolitan Marinari (i.e. sailors) ate for breakfast a type of pizza that eventually took their name. By the end of the 19th century, pizza became popular also among aristocrats. One of the most influential pizza enthusiasts was the Queen Margherita of Savoy. According to some accounts, the Queen visited Naples in 1889 and Neapolitan Pizzaiuolo Raffaele Esposito was asked to prepare three different kinds of pizza. The Queen chose the pizza topped with tomato, basil and mozzarella as her favourite. This particular pizza, soon to become known as “Pizza Margherita”, represented Italy quite well, as the colors of the ingredients (green, white and red), were the same of the Italian flag. During the course of the 20th century, Italian migration led to the spread of pizza worldwide, especially to North America (e.g. in Montreal, as shown in the video at the end of this post!). Given the simplicity of this dish, Italian migrants could easily replicate it in foreign countries introducing new ingredients and adding new flavours. In the United States, pizza became a very popular fast food. Many pizza outlets gained success in the second half of the century and pizza quickly became a global and cosmopolitan dish, no longer synonymous with Neapolitan food and culture. In fact, it adapted to the cultures where it was introduced. Pizza quickly became a ready-to eat meal as frozen pizzas allowed consumers to prepare it quickly and enjoy it at home. So, the preparation and consumption of pizza has changed dramatically in the last century. Many pizzerias now make use of electric oven, instead of wood-fired oven, also due to legal restrictions that forbid the construction of new wood-fired ovens. Also, consumers often eat pizza far away from the place of production. In the last few decades, however, there have been several efforts to promote and safeguard traditional Neapolitan pizza. In 1984, the Associazione Verace PizzaNapoletana (AVPN) was created with the purpose of promoting and preserving the traditional way of making pizza, which involves artisanal work by the Pizzaioulo and the use of wood-fired oven. This association created a disciplinary that sets rules on how the traditional Neapolitan pizza is made and asked for its legal protection from the European Union (EU). In 2009, Neapolitan pizza became a TSG (Traditional Speciality Guaranteed) product according to the PGS (Protected Geographical Status) framework adopted by the EU law to protect traditional food products. On December 7th, as we have seen in the previous post, the traditional art of the Neapolitan pizzaiuolo has been finally included in the UNESCO intangible cultural heritage list, also thanks to campaign #pizzaunesco. In 2011, another association named Associazione Pizzaiuoli Napoletani lobbied the Italian ministry of agricultural, food and forestry policies to have “The Traditional Art of Naples’s Pizzaiuoli” in the UNESCO’s representative list of intangible cultural heritage of humanity to raise awareness about this ancient tradition worldwide. P.S. A few years ago I have had the chance of interviewing a pizziauolo who came from the province of Avellino (Italy) to Montreal (Canada) after World War II. From his insight, we can understand the way he adapted the Neapolitan tradition to the local culture to develop a successful business. A legend in the history of Italian wine, Giacomo Tachis is one of those winemakers that did not go unnoticed. 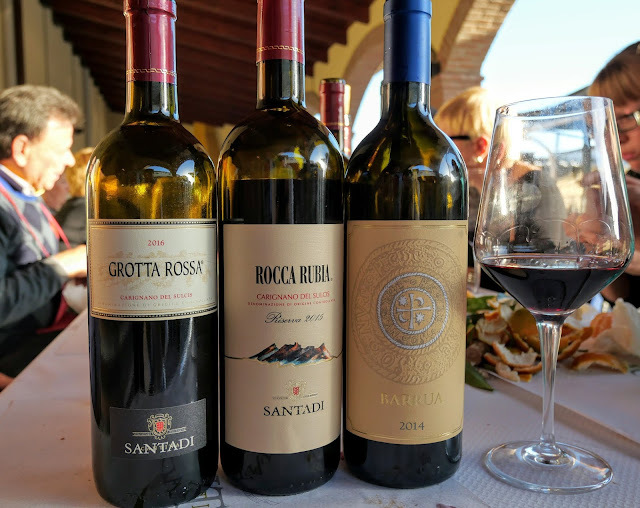 He was the man behind some of the most expensive wines, like Supertuscans Sassicaia, Solaia and Tignanello, as well as other top quality wines from indigenous grape varietals such as Carignano in Sardegna. He worked for more than 30 years with the Antinori family in Tuscany, and collaborated with wineries in other Italian regions, as well. He passed away in February 2016 and has left a strong legacy in the Italian wine industry that is still strongly felt today. Photographer Bruno Bruchi and author Andrea Cappelli have revisited the places where Tachis worked and have done an extensive research on his life to put together a book “Giacomo Tachis Mescolavin”, edited by Carlo Cambi Editore and funded by the Chianti Banca Foundation. It is sold online at 125 euros and was presented at the convention of Saturday Novemeber 10th at the Cantina Santadi, where Tachis used to work and one of the better known wineries in southern Sardinia, near Cagliari, in an area especially known for the Carignano del Sulcis, a red wine characterized by smooth tannins and red berry aromas. Born and raised in Piedmont, Tuscan by adoption, Tachis had a special place for Sardinia in his heart. His love for the Sardinian people, the land, food and the sea, which he used to contemplate, led Tachis enjoy Sardinia every time he had to go there for work. He had, indeed, a special interest for islands in general for their cultural and geographical uniqueness. The mescolavin is a word that means “the mixer of wines”, and though it could be seen as a negative word, it was actually the way in which he Tachis wanted to be called. He saw himself as the person who was in charge of making the most out of the grape varietals and vineyards he had at disposal. He was a strong believer that good wine could only be made by good grapes grown in a land where the vines suffered a little bit to get the nutrients from the soil, know-how and, above all, passion. 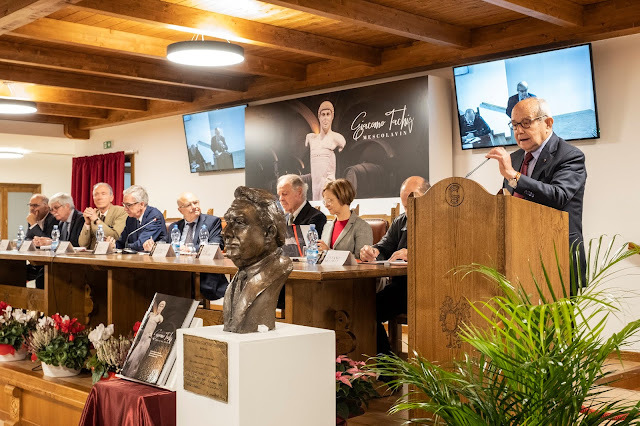 The convention started with the opening of the street “Giacomo Tachis”, in front of the winery, followed by the inauguration of the torso of Giacomo Tachis made by professor Carlo Pizzichini from the University of Fine Arts in Florence. 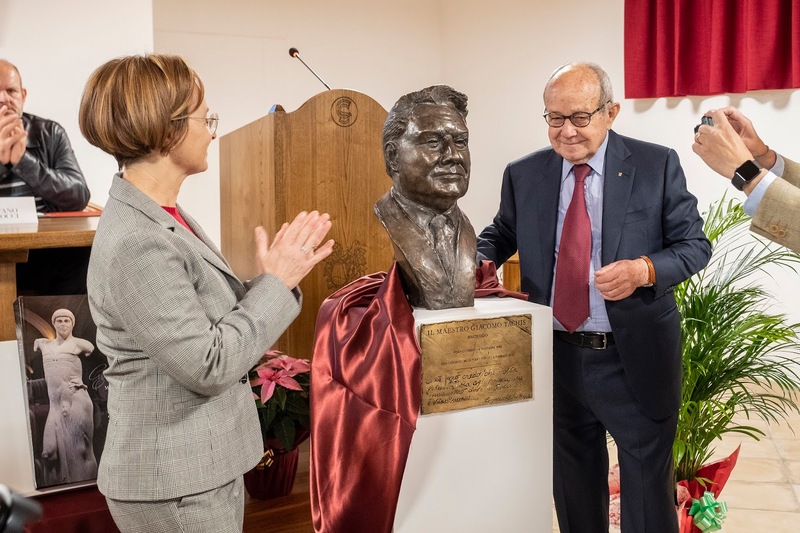 The daughter Ilaria Tachis and president Pilloni presented the torso to the public. Several notable people working in the wine industry and people who collaborated with Tachis remembered him with fond memories at the convention. The profile that appears is the one of a man who loved making wine, as well as a true professional who strongly believed in the experience done in the field, even more than in university, to fully grasp winemaking. He used to say: “University starts now!” to aspiring winemakers who just left university. There were many fun and interesting anecdotes that came through during the homage to his life. Marchese Piero Antinori, who worked with him for over 30 years, remembered when the winemaker used to drive at different speed times, according to what wine he was thinking about. Presumably, the marchese added: "a wine about which he was not happy would slow him down, whereas a wine that he thought that did really well would make him go really fast". Marchese Guerrieri Gonzaga from Tenuta San Leonardo winery remembers that once in a lab he asked him what wine was his favourite and, after having pointed to a particular one, Tachis used to say: “That’s good, but the wine we are going to make is the other one!”. After all, he already had in his mind the final result that he wanted to achieve. Futhermore, the president of Cantina Santadi Pilloni stressed the strong attachment that Tachis had for the land and the deep relationship that the two have established. He was not just a collaborator, rather a very close friend. Tachis was a lover of fine gastronomy and particularly enjoyed Sardinian food fondly, along with the genuine character of the Sardinian people. 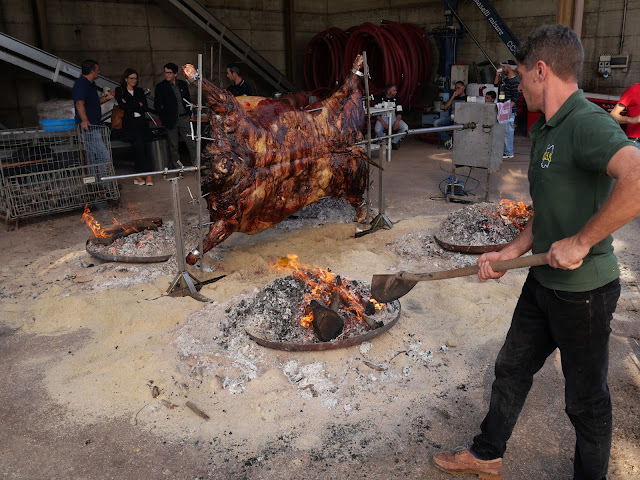 Thus, to honor the man and the wines that he helped to produce, the participants went to the restaurant Antigo Borgo in Narcao where the Santadi wines were enjoyed alongside local delicacies such as the famous Sardinian “porceddu”, suckling piglet flavoured with herbs as resemary and roasted traditionally with juniper wood. 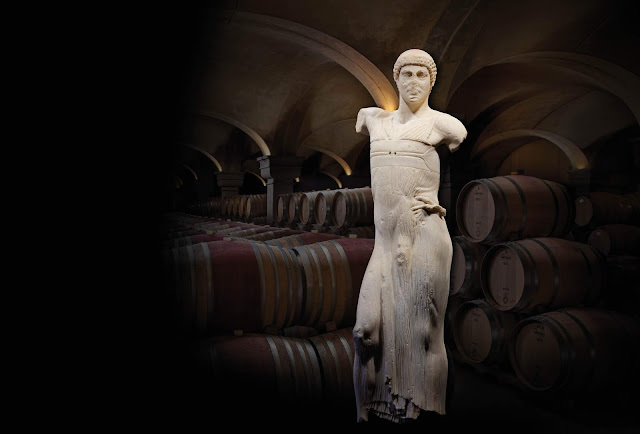 The following day, after a very engaging and interesting visit to the Sant’Antioco archeological museum, we had a tasting at the winery, where local products were showcased. Pecorino cheese, Sardinian honey, local tomatoes, fennel, salami and many other gastronomic products were enjoyed, while a local band played music. Wines from other wineries could also be tasted. Particularly, the red Piede Franco Calasetta, made with pre-philoxera vines, impressed me for its finesse, smoothness and length in the mouth. The lunch at the winery featured also a beef, which was cooked at the open air at the winery for around 10 hours. Five wines from the Santadi wines led me to appreciate the excellent work carried out by the winery. The first two are Carignano 100%: Grottarossa is more fresh with red berry notes, the Rocca Rubia has more body, spicy and cherry jam notes. The Barrua is a full bodied red made with Carignano, with the addition of Cabernet Sauvignon and Merlot. It features balsamic and dark chocolate notes. I was also lucky enought to get a taste of the Terre Brune 1999, pure Carignano, which was still alive and kicking, with some tertiary notes as balsamic, sour cherry jam and an extremely long finish. 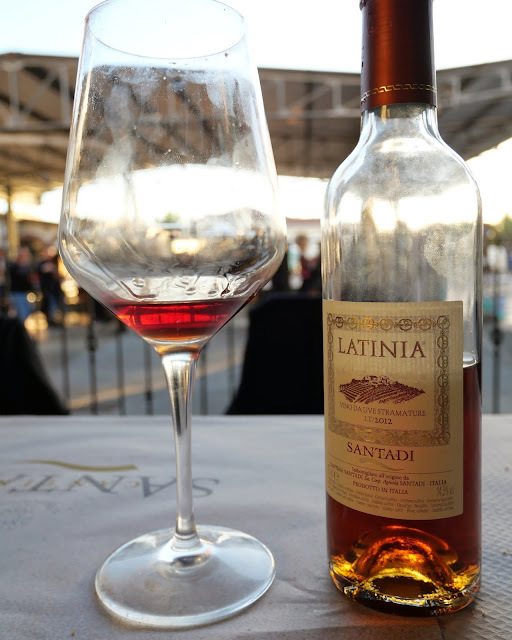 Finally, the sweet passito Latinia is made with Nasco grape variety and has aromas of thyme, almond and dried apricots. It has high aging potential and very long length in the mouth. The legacy of Tachis still lives on today. The convention showed to the public some of the lesser known aspects related to the character of Tachis. His professionalism made him highly respected in the wine industry, and he was also very much liked for his human character. A lover of life, passionate about fine food and wine, strongly linked with the Sardinian territory, where he has been indeed remembered with the attention that he deserved. 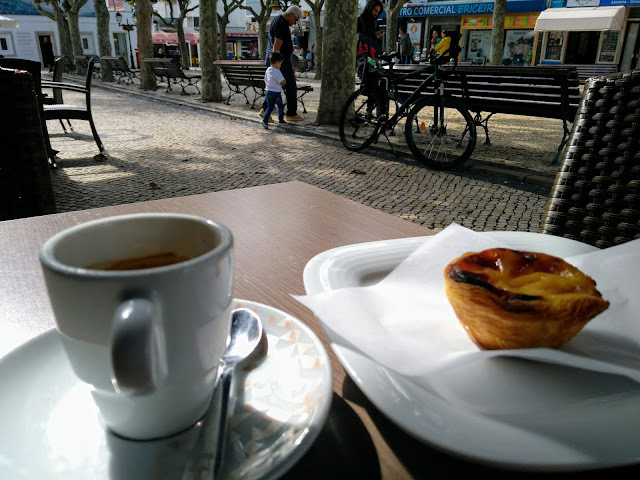 After a two months break from writing during which I travelled to nice spots in Europe, namely Portugal, Morocco and Sicily, it is time to revisit some of the places visited. One of the towns that really impressed me, despite the presence of the storm caused by hurricane Leslie which led to strong winds and rough sea, was Ericeira, half hour away from Lisbon. With a strong presence of surfers, it features small roads in white and blue, nice cafes and restaurants. As you arrive, the best thing to do is to take a walk in the small streets and get lost.You will eventually find locals that will direct you in the right direction. The food market, one of the smallest I have ever seen, is indoor and on the top floor it includes a bakery that you do not want to miss. Fresh bread, local pastries and a welcoming feeling will make you start the day perfectly. You will find typical Portugese pastries such as pasteis. In the main square, Praça da República, where you will find also the information office with an upper floor dedicated exclusively to the surf reserve of Ericeira, you will find two cafes worth trying: Sunset Bamboo Bar, where delicious and healthy juices can be enjoyed with sandwiches, and Pãozinho das Marias, with a good selection of bakery products and a cafe that offers a delicious pastry products at an affordable price. Before leaving the town, you must enjoy the surfing (I recommend Surf Yoga Portugal) and get some souvenirs home. I opted for some ceramicals from the Ceramicas Ericeira whose owner is very kind and makes some beautiful artistic work. Also, do not forget to take a look at the ocean. There are some viewing points where you can see surfers in action or just observe the power of the sea. Altough it is a small town, it feels international thanks to the omnipresence of surfers. I personally spent the evenings eating in the surf camps, but you can find plenty of good restaurants in the town as well, and seafood is of course one of their specialities. 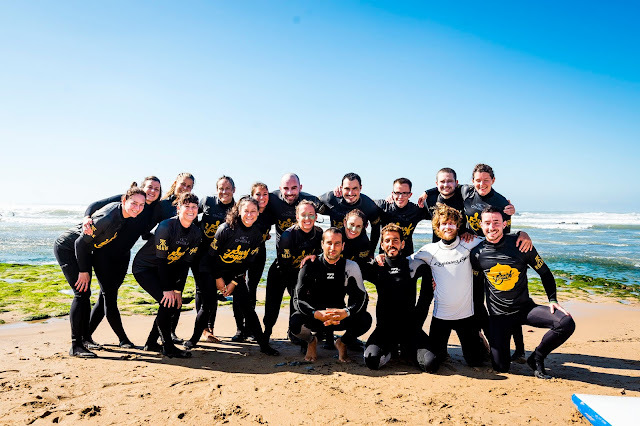 Check out All The Rooms to view a list of the top places in Portugal for breaks, beaches and boards! It's Saturday and it's market time in a small town in Southwest Ontario, one hour and half outside of Toronto. St Jacobs holds a strong Mennonite heritage and indeed it is common to see Mennonites using traditional horses. Farming and tourism are two of the main economic activities. 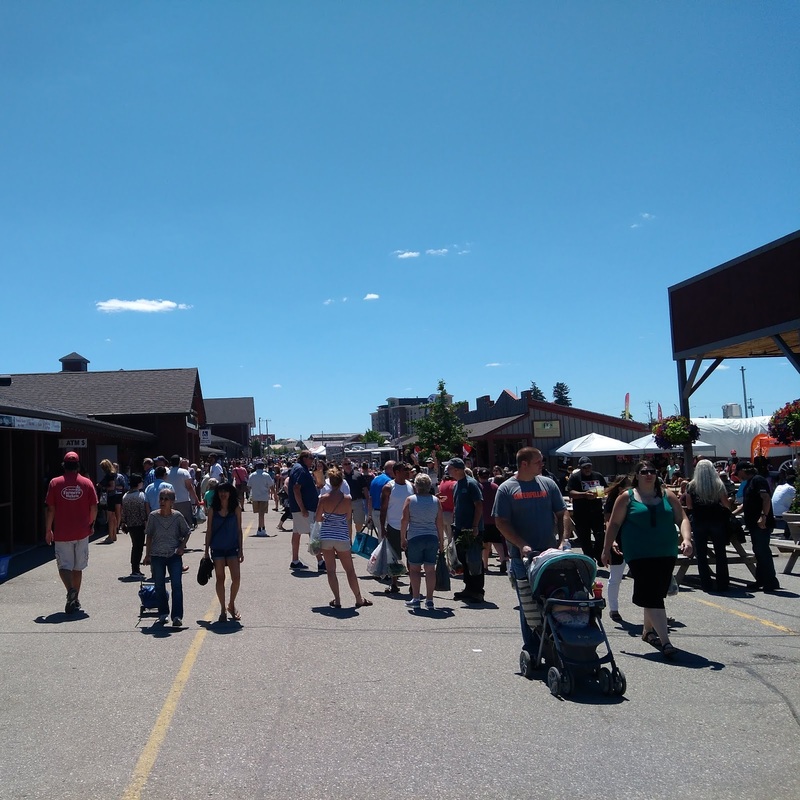 In particular, St. Jacobs Market, which takes place every Thursday and Saturday, is the main attraction of this little town of around 2.000 people. I would reccomend going to the outdoor area for buying fresh vegetable and fruits (now the cherries are in season and are deliciuous). In the interior markets, I would reccomend eating at the area with local foods rather than the international stall, which had anything available in every other market. 1- Back Bacon, Egg and Cheese at Country Cravings. They make top burgers and back bacon at a very reasonable price. A must try. 2- Apple fritters with Ice Cream at The Fritters Co. 1/2 portion is enough for one person! Delicious fried and local apples with vanilla ice cream. Add some cinnanomon at the end and you are ready for a delicious snack! 3- Buy bacon to take away. Amazing quality at Stone Crock Meats and Cheese Stall. 4- Enjoy an espresso to end the meal before leaving the market. Finally head back home with a car full of good foods at a great price. A great discovery, for locals and tourists alike.